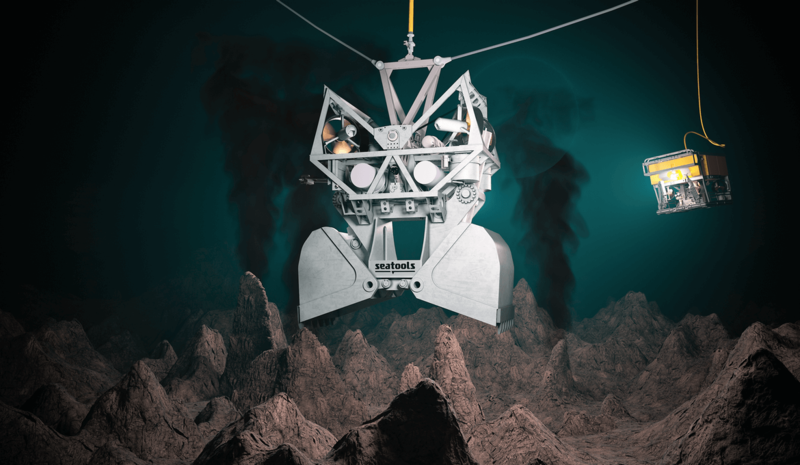 In the field of deep-sea mining, the currently dominant school of thought focuses on the large-scale underwater processing of subsea rocks. More specifically, the methodology that is most commonly analyzed gains mineral deposits by rock excavation with a crown or drum cutter, after which the fluidized crushed materials are pumped to a vessel at the surface. A disadvantage of this method lies with the high energy-incurred costs: a considerable amount of installed subsea power and high overall energy consumption are required. Hyperbaric conditions at great sea depths require major cutting force, leading to the method’s excessive energy consumption. 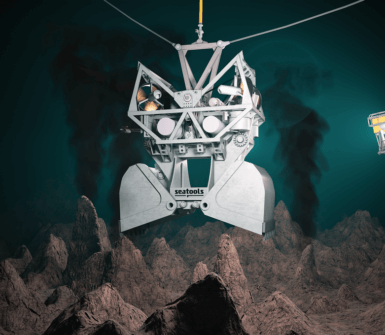 An alternative, more energy-efficient subsea mining approach would be to rely on hydraulic grabs, and not crush all materials on the spot. Not only is the method beneficial in cases of rough terrain and unstable seafloor conditions, an even greater advantage is that most of the rock remains intact. Like this, the material can be crushed at the surface, yielding a reduction of installed subsea power, as well as of overall energy consumption. The paper compares the techno-economic performance of both subsea mining methodologies. More specifically, a comparison is made between the required installed subsea power and the overall energy consumption of both methodologies. The summary of the academic paper, which outlines the paper’s main findings, was presented at OTC 2016. The full academic paper is available on request.